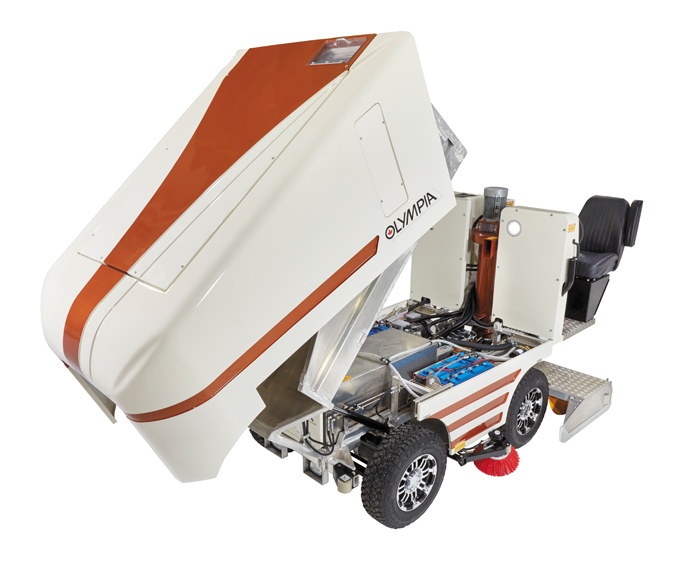 The Mini E has the same full features of all OLYMPIA Millennium models. 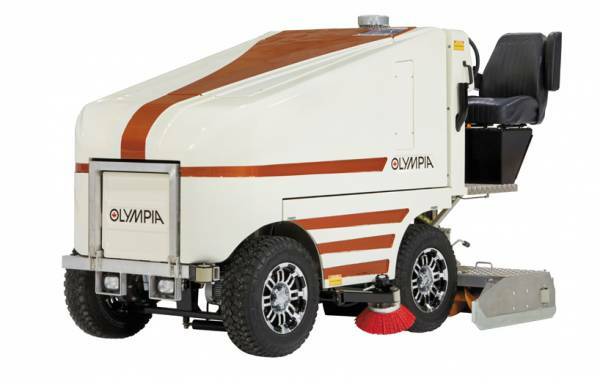 It is driven by the same “true” four-wheel drive system as its bigger brother, the OLYMPIA Millennium E—the world’s most advanced electric-powered ice resurfacer. 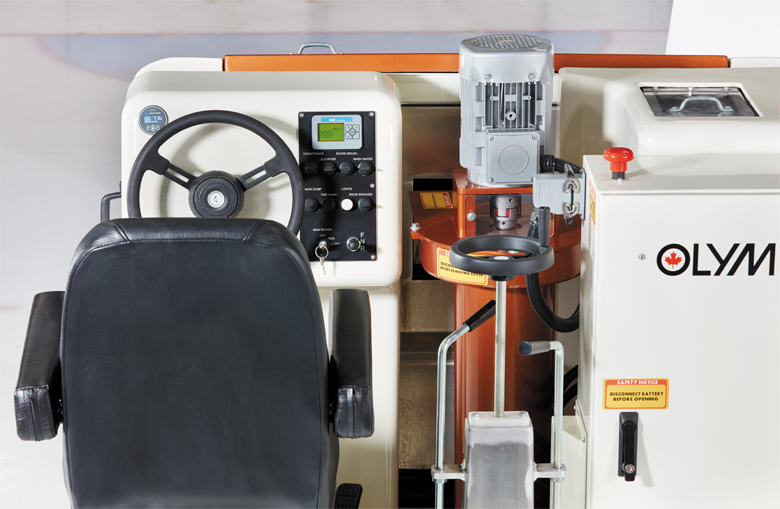 The Mini is half the size and weight and retains the same robust performance capabilities of its bigger brother. 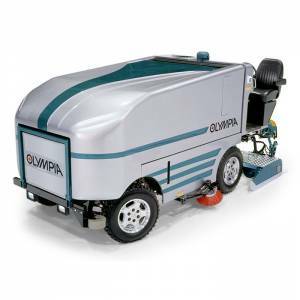 Each time you resurface, the OLYMPIA Mini E saves time, money and the environment. 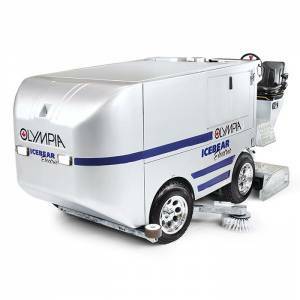 It is the ultimate ice resurfacer for smaller rinks.